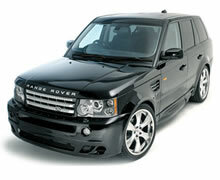 We are a specialised Range Rover Vogue and Range Rover Sport dealer. Our modification packages are very cost effective!! and we will definately save you time and money. 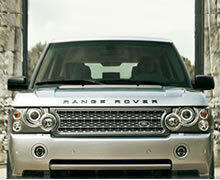 Import vehicles also available - 2 week lead time from order to our bespoke home delivery service. 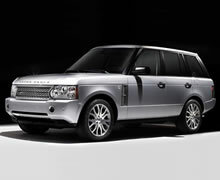 The Range Rover - the most complete luxury 4x4 in the world, flagship of the Land Rover range. Available with a twin turbo V8 diesel or supercharged V8 engine. Six-speed automatic transmission with CommandShift as standard. The new highly-refined Range Rover interior - individually expressed through luxurious details including improved trim finishes, and optional cooled and heated front and rear seats. Terrain Response optimises the settings for gearbox, throttle, air suspension and traction control to suit tarmac, sand, snow, mud, boulders and more. Colour touch screen control for satellite navigation, Bluetooth Connectivity, rear DVD entertainment and 4x4 information system.